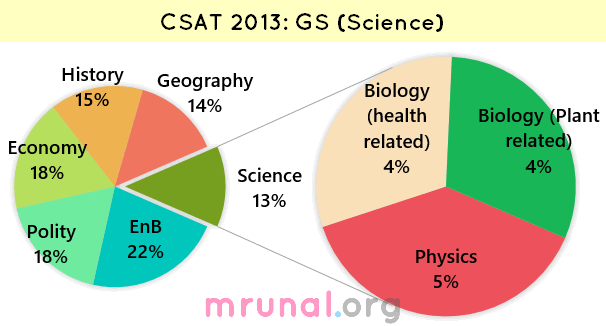 In UPSC CSAT 2013, General studies (GS) paper, 13 out of 100 questions were from Science. Majority from physics Majority from biology. Current affairs based question: only one =from Higgs boson. Few of them can be directly solved from NCERT Science, General Studies manual. Anyways, UPSC did ask plenty of “direct from the routine books” type questions in Economy, polity and Modern History: so can’t expect picnic everywhere hahaha. *bio fertilizer, sea-horse etc Questions classified under EnB. 1. Which of the following diseases can be transmitted from one person to another through tattooing? Hepatitis B and HIV are spread via Tattoing hence Indian Army had made rule that disqualified youngsters with tattoos on medical ground. Chikungunya is not spread via tattooing. Hence answer (B) 2 and 3 only. Which of the minerals given above is/are required by human body for the contraction of muscles? Viruses lack enzymes necessary for the generation of energy. Viruses can be cultured in any synthetic medium. Viruses are transmitted from one organism to another by biological vectors only. …Since Viruses lack organelles and are totally dependent on the host cells metabolic machinery for replication, (hence) they cannot be grown in synthetic media. In laboratory, animal viruses are grown in Animals…plant viruses are grown in plants or plant cell culture. There are two categories of Vectors: biological and mechanical. As was stated earlier, if virus increases its number while in association with a vector, then that vector is termed as being biological. Arthropods such as wasps, which repeatedly can sting multiple animals, could serve as mechanical vectors by transporting viruses on the surface of their stingers. and we are left with answer (A) only 1. In 1953, scientists discovered the structure of DNA, and in 1972, researchers developed a method for cutting and splicing DNA. That method became known as recombinant DNA, or rDNA. Since then, researchers have learned how to move genetic material in the form of DNA from one plant or animal to another. They can also take DNA from an animal and place it in a plant, and vice versa. Hence answer (D) 1,2 and 3 correct. 4. Which of the following leaf modifications occurs/occur in desert areas to inhibit water loss? Hence Ans (D) all of above. When the sun or moon is near horizon, it appears elliptical i.e. with vertical diameter less than the horizontal diameter =>Statement #1 is correct. Twinkling of stars =>statement #4 is correct. Thus we are left with answer C.
3. Rainbow is produced when sunlight falls on drops of rain. Which of the following physical phenomena are responsible for this? 4. The known forces of nature can be divided into four classes, viz, gravity, electromagnetism, weak nuclear force and strong nuclear force. with reference to them, which one of the following statements is not correct? Strong nuclear force holds protons and nutrons inside the nuclear of an atom. 5. The efforts to detect the existence of Higgs boson particle have become frequent news in the recent past. What is /are the importance/importance of discovering this particle? It will enable us to understand as to why elementary particles have mass. It will enables us in the near future to develop the technology to transferring matter from one point to another without traversing the physical space between them. It will enable us to create better fuels for nuclear fission. Only one topic remains: EnB answerkeys. They’ll be uploaded soon + thanks Mr. Shiva Ram and Mr. Siriyal Patel for inputs. 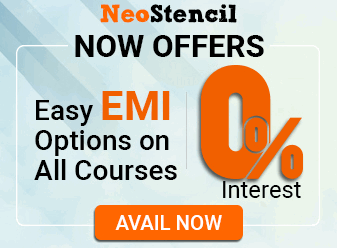 Please post link for complete NIOS Science material. Plz do so for other subjects also.